My name is Joshua Fredenburg and I have not only served as a keynote speaker, trainer, workshop presenter, and facilitator on leadership in 45 different states and 2 countries reaching more than 1,000,000 emerging and seasoned leaders worldwide, but I have written multiple leadership books, created an award winning national leadership conference for student leaders, and I am in the process of attaining my doctoral degree in Organizational Leadership from Nova Southeastern University in June ’19. The sole purpose of Mr. Leadership is to provide emerging and seasoned leaders from various areas of expertise with leadership insight, wisdom, and advice that will enable them to lead more effectively and make a positive impact in your community, nation, and world! Connect with me on other social media platforms, enjoy the new articles that will be posted every two weeks, share with others, and most importantly, use the information provided to make a greater impact in the world as a leader of the 21st Century! Learn about who I am, my speaking journey throughout the country, and things that matter most to me through a variety of pictures. 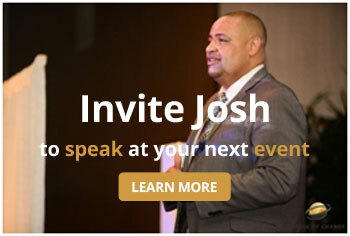 Learn about my interests and what others had to say about my speaking presentations throughout the nation. Connect with me and learn about my professional profile. Check out a variety of videos that I have created over the past few years as a national speaker within the college market.